(Washington, D.C.) – As families and friends gather at colleges across the country to celebrate graduation, a new report released today by the Education Trust documents the fact that nationally, these same colleges will have failed to graduate nearly half of their degree-seeking first-time full-time freshmen within six years, and the picture is even worse for low-income and minority students. These young people leave our higher education system burdened with large student loans that must be repaid, but without the benefit of the wages that a college degree provides. The report includes a brand new analysis of institutional-level graduation rates that reveals widely different rates among similar institutions serving similar students and argues that when it comes to student success, what colleges and universities do matters greatly. The report, A Matter of Degrees: Improving Graduation Rates in Four-Year Colleges and Universities, includes a new analysis of a comprehensive federal database of six-year graduation rates from every degree-granting higher education institution in the United States. 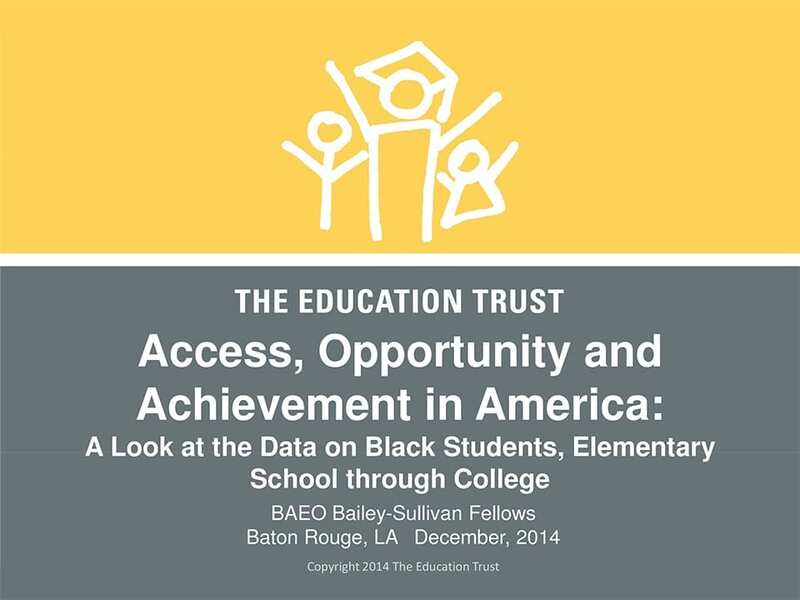 This data - collected by the U.S. Department of Educations Graduation Rate Survey (GRS) - has been made available to the public disaggregated by race/ethnicity for the first time this year. The release of this report marks the official launch of a new part of the Education Trust’s work in higher education. 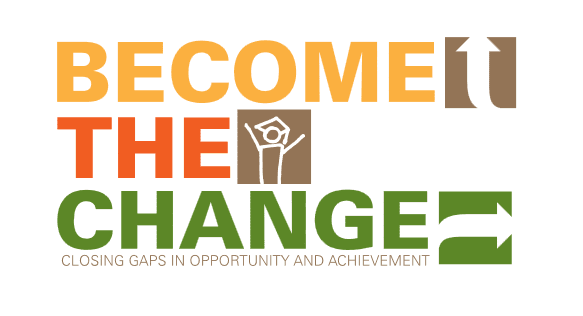 The new initiative will focus on the policies and practices needed to improve higher education outcomes, particularly for the low-income and minority students who have been traditionally under-represented in American colleges and universities. It will also include studying and learning from high-performing institutions. The good news is that more students in the United States are entering two- and four-year institutions than ever before; enrollment has increased from less than half in 1975 to almost two thirds in 2001. The biggest gains among entering freshmen are coming from groups that have been traditionally left behind, female and low-income students. When we extend the time-frame to look at college enrollment to the first eight years out of high school, we find that by the 1990s, four out of five on-time high school graduates had enrolled in some form of higher education. Unfortunately, while enrollment has increased, graduation rates have not increased at the same rate. In fact, many institutions lose one out of every four students they enroll in the freshman year alone. When looking at six-year graduation rates for four-year colleges and universities, the data shows that barely six out of ten (63%) first-time full-time degree-seeking college freshmen graduate within six years. While the overall graduation rates are low for all students, they are particularly low for minority and low-income students: only 46% of African American, 47% of Latino, and 54% of low-income first-time full-time freshmen are graduating within six years. The report contends that if the United States is going to hold its historical position in having the best educated workforce in the world, higher education must do more. The world is changing rapidly and many jobs now require the skills and knowledge that can only be filled with workers with post-secondary education. Lower-skill manufacturing jobs that once allowed people to enter the middle class without a post-secondary education are rapidly disappearing with no end in sight. The Bureau of Labor Statistics reports that in the coming decade, there will be more and more jobs requiring post-secondary education. Overall six-year graduation rates range from less than 10% to almost 100% from institution to institution. Nearly one out of five four-year institutions in America graduate less than one-third of their first-time, full-time, degree-seeking freshmen within six years. 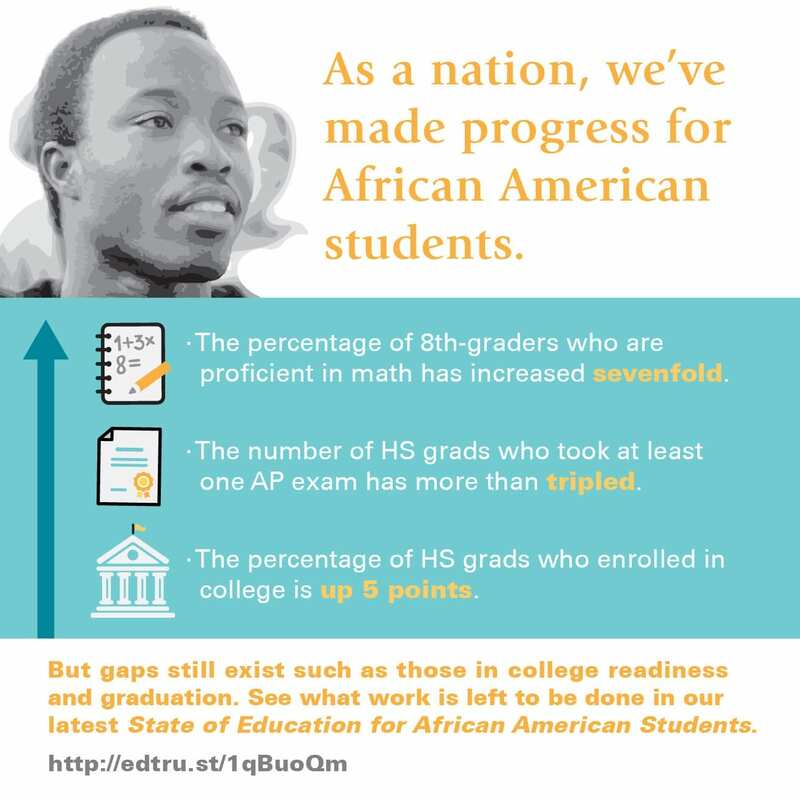 And 68 have a graduation rate for African American students under 10%. 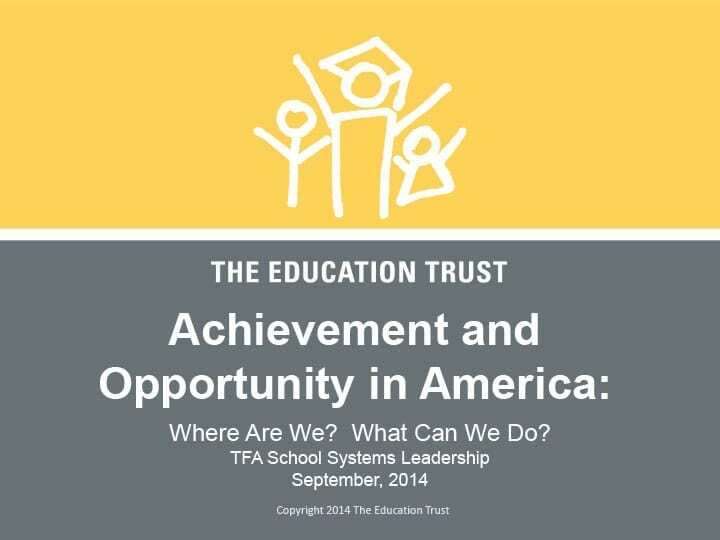 Similarly, 25% of all institutions with at least 5% Latino students have a Latino graduation rate of less than 30%. Analysis finds that even with very similar students, some colleges and universities are far more successful than others. The analysis also finds that, even when compared to institutions with very similar students, graduation rates vary tremendously from institution to institution. In fact, even after controlling for a host of possible factors that might influence graduation rates  including students SAT and ACT scores, institutional mission, financial resources, degree programs, size, location, and others  some colleges and universities far outperform their peers. “The analysis revealed differences in success rates at similar - or peer - institutions that were in some cases quite honestly staggering,” noted Haycock. 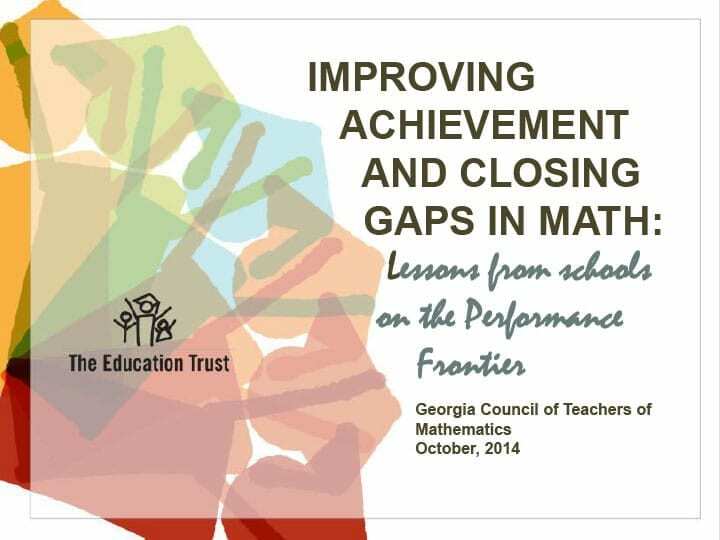 The report highlights a few high-performing institutions that either have significantly higher graduation rates than their peer institutions, have worked to close racial and socio-economic gaps in graduation numbers, or have made significant improvement in graduation rates over time. Elizabeth City State University, NC has a relatively open admissions policy which is reflected in a below-average SAT profile for incoming freshmen, whose median combined score is approximately 835 out of 1600. There are 30 colleges and universities in the United States that are roughly similar to Elizabeth City State University: “less competitive” baccalaureate or masters-granting institutions with fewer than 5,000 undergraduates and a median SAT score between 760 and 900. The median graduation rate among those institutions is 39% for all students. The median graduation rate for Elizabeth City State University is 53%, a difference of 14 percentage points from its peer institutions. University of Northern Iowa, IA is a “competitive” masters-granting public university, educating 11,000 full-time undergraduates with a median ACT score of 22.5, which is the equivalent to about 1045 on the SAT. There are 42 universities that are basically similar to University of Northern Iowa with median six-year graduation rates among these “peer institutions” at 48% and nine reporting rates below 40%. The median graduation rate for the University of Northern Iowa is 67%, a difference of 19 percentage points from its peer institutions. University of California  Riverside, CA has a very racially diverse student body of over 13,000 students (23% white, 22% Latino, and 41% Asian). It has an overall graduation rate of 66%, 15 percentage points better than the 51% median rate of its 33 peer institutions. 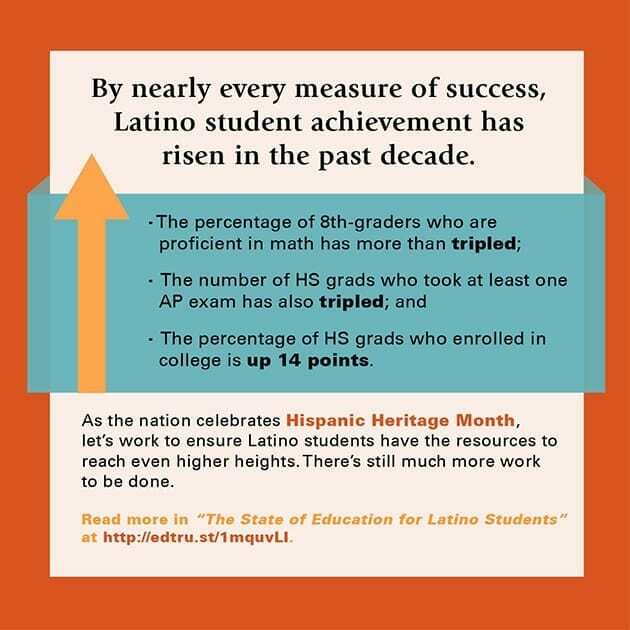 The median graduation rate for Latino students at the peer schools is less than 39%, a gap of 12 percentage points. By contrast, success at UC-Riverside is equally distributed across groups. The graduation rate is 65% for white students, 67% for Asian students, and 68% for Latino students. East Carolina University, NC is a ”competitive” doctoral-degree granting institution whose 15,000 students are 16% minority. Among East Carolina University’s peers, the median overall grad rate is 41% and the median rate for African American students is 32%, a gap of 9 percentage points. At East Carolina, the graduation rate for all students is 54%, a rate that has increased every year since 1997. The rate for African American students is six percentage points higher: at 60% almost double the rate of other, similar universities. Binghamton University, NY is one of the university centers in the State University of New York (SUNY) system. A “highly competitive” doctoral and research institution, Binghamton has an undergraduate population of 10,000, of whom about 12% are members of underrepresented minority groups. Its six-year graduation rate is 79%, which is a full 9 percentage points above the median rate of 70% among its closest peers. Moreover, Binghamton does well by graduating all groups of students. For example, the median African American graduation rate at Binghamton’s peer institutions is 59%, 11 percentage points lower than the rate for all students in those schools and 13 points below the rate for white students. Binghamton, on the other hand, has an African American graduation rate of 77%, a full 18 percentage points higher than the average for its peer group, and virtually the same as its overall rate and rate for white students. Louisiana Tech University, LA is a “competitive” public doctoral institution with about 9,000 undergraduates. Louisiana Tech has a six-year graduation rate of 55% compared to a 46% median rate among its peers. Furthermore, Louisiana Tech has continually increased its graduation rate for five consecutive years, from 35% in 1997 to 55% in 2002, a 20 point gain. University of Florida, FL is a “highly competitive” doctoral and research institution, whose graduation rates went from 64% in 1997 to 77% in 2002, a 13 point gain. Real Accountability in Higher Education - State policymakers and higher education leaders must collectively commit to making comprehensive and significant improvements in higher education graduation rates, including a particular focus on closing gaps for low-income and minority students. Improve Alignment Between K-12 and Higher Education - Far too many students enter college lacking the necessary academic preparation. States and districts must work to increase rigorous academic coursetaking in high school, while colleges and universities must provide more information to K-12 schools and improve transparency in the process of placing students into remedial courses. Continuing to Improve Access and Affordability - While access to higher education has increased, major affordability problems remain, exacerbated by rising state tuition and stagnant federal aid programs, both of which hinder the ability of lower-income students to complete college successfully. Continue to Increase the Quality of Learning - Students need to complete college, but they also need to learn while they’re there. In the end, there can be no trade-off between improving completion and improving learning  in fact, at the most successful institutions, the two go hand in hand. Changing the Way Public Institutions Are Funded - Rather than simply funding public universities based on the overall number of students enrolled, states should provide institutions with resources based on student progression through school, and ultimately graduation. Invest in More and Better Information - Advances in information technology have now put states in the position of, for the first time, being able to integrate their K-12, higher education, and workforce databases in a way that will allow much richer analysis of student progression and success, both within the education system and after graduation.